Many travelers around the world love the idea of the peace, quaintness and often romantic atmosphere of holidaying in a small seaside village, but may be concerned that many such villages often only have basic accommodation facilities. 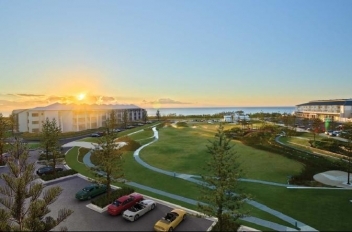 Peppers Salt Resort and Spa has solved that problem by developing a luxurious beach front resort complex on the doorstep of the seaside holiday village of Kingscliff, on the northern New South Wales coast. Peppers Resort and Spa is a modern holiday development ranging from tastefully-decorated ensuited hotel-style rooms with private balconies, to private fully self-contained 1, 2 and 3-bedroom luxury suites with fully-equipped kitchens, lounge, separate bedroom, bathrooms with spas, private plunge pools and every five-star luxury facility you might need. All units have views to the oceans, mountains or into the peaceful lagoon-style swimming pools and private rock pools and outdoor spas. Whether you are looking for a romantic weekend away, a fun family holiday, or a fun-filled escape with some good friends, Peppers at Kingscliff is the ideal choice. The resort fronts a great surf beach patrolled every day of the year by lifeguards and features a range of restaurants, shops, bars and entertainment, as well as the largest resort spa complex run by leading health spa operators, The Golden Door. This Spa offers luxurious world-class facilities, with 15 holistic treatment rooms ensuring you can normally have your body pampered and nurtured in your choice of time frame. The region has much to offer the world traveler or holiday maker - from the surprising delights of exploring world heritage-listed national parks and the southern hemisphere's largest eroded volcanic crater overshadowed by Mt Warning, to the pleasures of enjoying some of the world's best aquatic facilities at your doorstep. The resort is also on the entertainment doorstep of Australia's holiday playground the Gold Coast; only 90 minutes from Brisbane; and has direct access to more than 30 world-class golf courses, magnificent shopping facilities and restaurants, leading theme parks - in fact, almost anything your heart desires. While Peppers Resort and Spa at Kingscliff maintains the highest standards of facilities and service you could find in any resort, it has managed to blend nicely with the tranquility and charming character of the nearby seaside village. It is one place that seems to tick all the boxes and should be a must-see holiday destination! 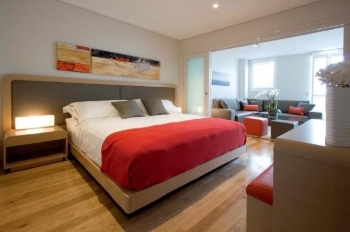 "Recently we stayed at Peppers resort Kingscliff for a weekend escape. We live on the Gold Coast and it was quick and easy to get there taking less than an hour. Our stay at Peppers was so relaxing. We enjoyed chilling out in the pool, (they even had noodles to float around on in the water). We lazed on the lounges around the pool and it felt like we were a million miles away. Breakfast in the restaurant was a full buffet selection with a huge variety of food to suit any taste.... It was delicious. 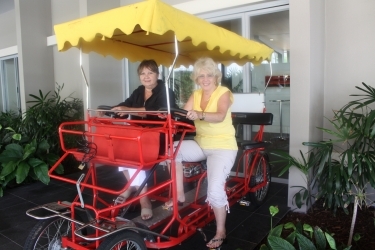 We spent time walking around the shops, down to the beach and even went for a ride on the 4 seater bicycle which was so much fun. 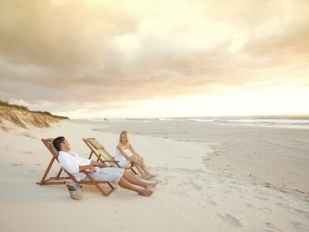 I would recommend to anyone to take a weekend out of your hectic life to visit Peppers Resort and Spa at Kingscliff." 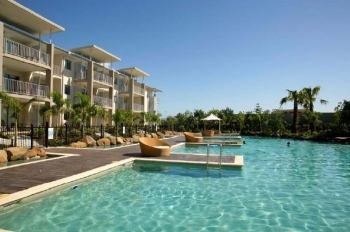 "My husband and I stayed at Peppers Salt resort at Kingscliff for the weekend and found it was the most relaxing holiday we have had for a long time. The Staff were wonderful, the setting was just beautiful and breakfast was delicious. We enjoyed ourselves so much we are planning to go back for my 60th birthday this year."